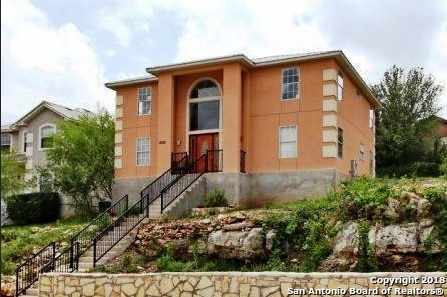 All STONE CANYON homes currently listed for sale in San Antonio as of 04/22/2019 are shown below. You can change the search criteria at any time by pressing the 'Change Search' button below. "INCREDIBLE HILLTOP VIEWS IN THE HEART OF STONE OAK WITH TO RATED SCHOOLS, OPEN FLOOR PLAN, BRIGHT WITH MANY DOUBLE GLAZED WINDOWS. BIG BACK/SIDE YARD. CLOSE TO SHOPPING, ENTERTAINMENT, RESTAURANTS, HOSPITALS/MEDICAL, BUSINESS, GOLF/TENNIS CLUB, SCHOOLS, AND EASY ACCESS TO ALL MAJOR THOROGHFARES. NEED SOME TLC."